Taylan, a 5-year old Kindergarten student at a local school surprised us and stole our hearts when we came to the school deliver her backpack filled with school supplies as part of our Backpacks-4-Kids Program. This was our 2nd. 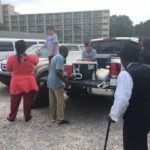 Annual backpack event where we hand delivered over 79 backpacks and school supplies to 13 schools and two group homes to children across Huntsville and Madison, Alabama in just 2 days. We were able to reach more students in need this year because WAAY-31 News partnered up with us and donated tons of backpacks for the cause. 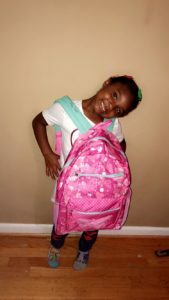 When we arrived at the school and asked the office staff to call Taylan to the office so she could receive her new backpack and supplies we were loss for words when she came. When she got there she had a friend with her and when we explained why we were there and asked her to pick her favorite backpack out of the 6 choices displayed. She picked the bright pink one with butterflies on it. 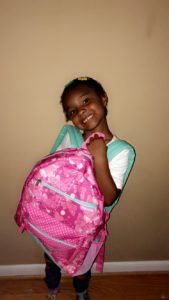 She was so excited about her new backpack and we told her we wanted to take a picture with her holding her backpack. 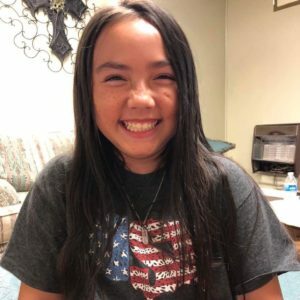 Afterwards, she asked if her friend could have a backpack because she came to school that morning without a backpack and school supplies.She then said “If you don’t give her one, I’m going to give her mine because she really needs it. 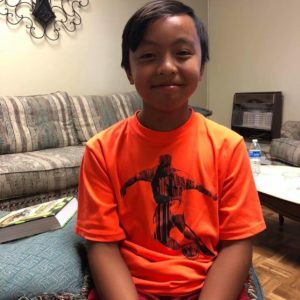 We couldn’t help but smile because the first thought I had in mind was how could this 5-Year Old have so much compassion and love for another person. And some of us as adults couldn’t care less if someone else was without. Young people are often told “You are the leaders of tomorrow’ But at Visible Hope we urge young people to become leaders today by taking the first step and turning their passion into action. God can use a single person whether young or old, experienced or not to become a powerful catalyst for change and a leader in their community. 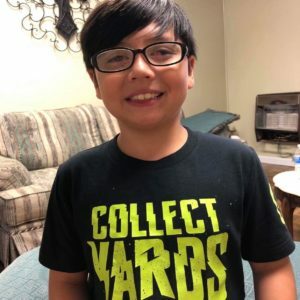 Kayden which is 10 years-old going to the 5th. grade and he’s known as a goof ball lol. 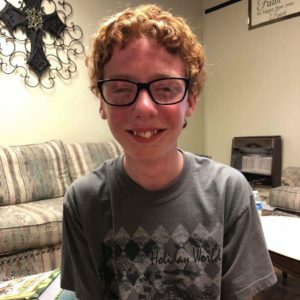 He loves to see people smile and absolutely love making new friends. Did we also mention that he’s a little prayer warrior? yes her is. He will pray for anyone, at anytime. He loves helping those in need and loves the Lord wholeheartedly. And then there’s Jasmine: a 11-year-old A.K.A The Beast. She might look cute and sweet but she is a firecracker. She’s a little shy at first, but she comes out of her shell she is a warrior for God. She loves helping others and sharing the Love of Jesus. And finally lets not forget about DJ a 14 year-old kid with a true servant’s heart. He’s always smiling and willing to lend a helping hand. He loves to make new friends wherever he goes and sharing the love of Jesus. They believe that when keep God first with everything, anything, and all things are possible. They were all an inspiration to Visible Hope on July 8, 2018. We look forward to seeing them again at future events. You don’t need a drivers license, huge bank account or college degree to make a big difference in the lives of others. Sameria Hampton, 13-year old; 8th. 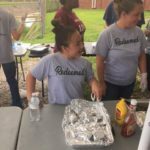 grader from Williams Middle School in Huntsville, Alabama is doing just that alongside with her mother, Silka Hampton. Heart-warming stories like this one proves you’re never too young to give back. 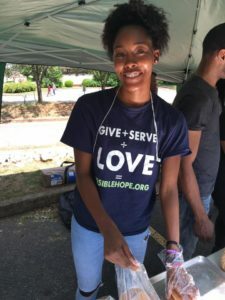 When not spending time with family and friends, Sameria devotes her time to serving the homeless with Visible Hope. Sameria sees her mother’s nurturing ways to help others and that inspired her to do the same. She says: “When we give cheerfully and accept gratefully, everyone is blessed”… She also said that: “I want to help as many people as I can as often as I can,” “And I’m not going to stop!” I want to encourage other kids to come out and join me alongside their parents as well. Giving back to the community is all Florence Harris knows. The 83-year old that was originally born in Louisville, Kentucky and retired after 25 years of dedicated service as a housekeeping supervisor. Shortly afterwards she moved to Madison, Alabama. She’s been here for a little over 2 years and said she needed something to do to pass time. So when her son Tony Harris, told her about a ministry he serves with named Visible Hope she was sold. At that time, we were getting Pamper Me bags together for our Mother’s Day Event for homeless mothers. She told her son to bring the bags over to her home and she would love to pack the bags for the organization. 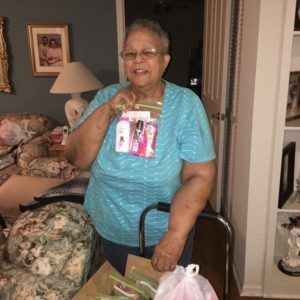 Mother Harris, packed over 100 Pamper me bags for the event alone and was looking for more to complete for future events. For her part, Mother Harris said she didn’t think she was “doing anything so important. 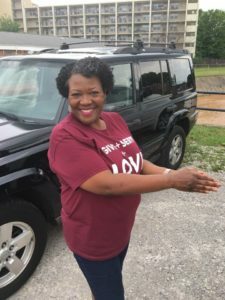 But she feels like God fits people together to help with people who need help.” She also says as long as God gives her strength and keep her in good health she will continue to be an active volunteer for Visible Hope. People say the apple doesn’t fall far from the tree, and that is especially true for Daphne and Danielle. 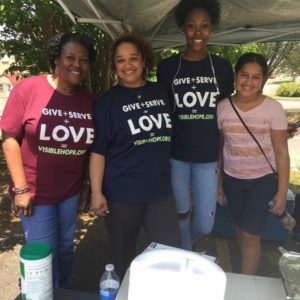 A mother and daughter duo that takes every chance to volunteer in their community of Huntsville, Alabama with Visible Hope. Daphne, 55, has been volunteering for about 30 years, but her passion for volunteerism doesn’t stop with her. She has instilled that same passion into her daughter, Danielle,18 years of age. “My mom brought me along when I was about 9 or 10; so from that age, I knew that volunteer work was important,” Danielle said. Danielle loves helping people of all ages especially kids. She loves all sports but her passion is in basketball. She will be a returning Sophomore at University of North Alabama in the fall of 2018. She’s also very active in her home church at Progressive Union Missionary Baptist Church with Pastor Snodgrass here in Huntsville, Alabama. She currently serves on the Junior Usher Board as well as the Youth Ministry Board. When Danielle is not at school she volunteers with Visible Hope. 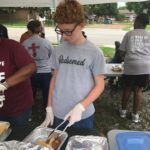 Daphne began volunteering after hearing about the organization and what they were doing for people in need without a salary attached. She liked the fact that 100% of donations went directly to the people in need and not one cent is used for administrative purposes. When she heard about the great things Visible Hope was doing she was sold and wanted to join. The story sparked Daphne’s interest, and her first project was cooking and serving at a Meals 4 Hope event with Visible Hope. 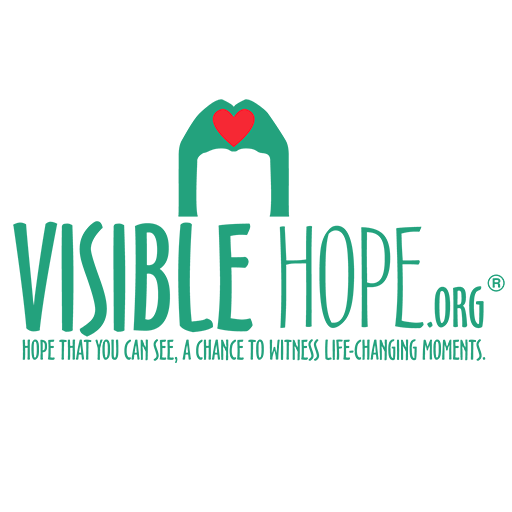 Daphne also learned that the founder of Visible Hope, Bro. Dell Mitchell was also a Masonic Brother of hers from Prince Hall Affiliated Temple Lodge #98 here in Huntsville, Alabama. Daphne has been a faithful and dedicated member of the Prince Hall Affiliated: OES Twilight 787 Chapter here in Huntsville, Alabama for over 10 years. She’s also an active member for over 8 years with The Daughters: AEAONMS. She’s also an active member with the following: Cyrene Crusaders, Heroines of Jerico, and The Ladies of the Circle of Perfection. Since then, her role has changed from volunteer, to Meal Coordinator I. She also helps out with cooking of the meals that we serve the hungry kids and adults in the community. WAAY 31 teams up with local non-profit for new backpacks for needy children.